In addition to the dinner on Friday night, this ticket includes a cooking demonstration and light lunch for an intimate group with Joanne at a private home. Please call 208.726.9491 x113 for more information about the diner and demo package or to purchase. All proceeds to benefit Sun Valley Center for the Arts. A 4th-generation professional cook, Joanne Weir spent 5 years cooking at Chez Panisse after receiving a Master Chef Diploma with Madeleine Kamman. She is a James Beard award-winning cookbook author and teaches cooking classes in the United States and around the world. She is the host and Executive Producer for several award-winning television series, including Joanne Weir Gets Fresh and her brand new series, Joanne Weir’s Plates & Places, which began airing in February 2018. Joanne has written 18 cookbooks, including her most recent memoir, Kitchen Gypsy: Stories and Recipes from a Lifetime Romance with Food. She is co-owner of Copita, modern Mexican restaurant and tequileria in Sausalito, California. 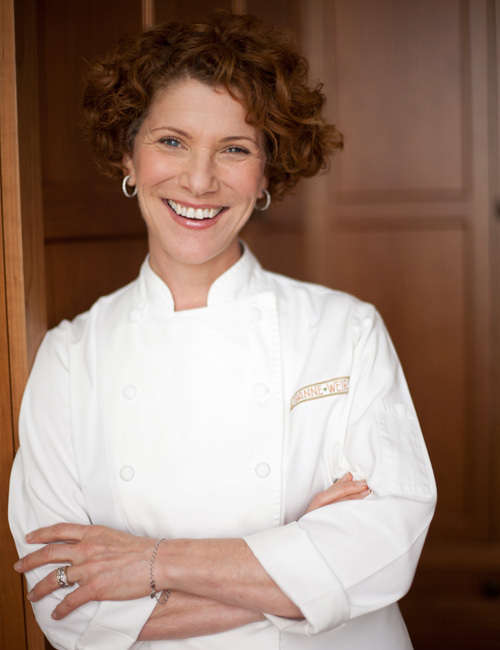 In 2012, she was appointed by the State Department to the American Chef Corps, a select group of chefs chosen to promote world relations through food. She also writes for numerous publications, including Sunset Magazine, Cooking Light, Better Homes and Gardens, Fine Cooking and Food & Wine.